As seasoned members of the military, we’re taught to “think on our feet” efficiently and effectively. Those are also traits that I believe drive an entrepreneurial spirit and helped me make a major career transition to a franchise owner after 20 years as an Air Force Cardiopulmonary Technician. If you’re currently considering your next career step or wondering what retirement might look like for you, allow me to share some of my story and lessons learned along the way. The work I did in the Air Force was very rewarding. In addition to working stateside as a medic in the cardiac cath lab and manager of a sleep disorder clinic, I deployed twice as a member of a critical care trauma team supporting Operations Northern Watch, Iraqi Freedom and Enduring Freedom between 2001 and 2003. When I made the decision to retire in December 2010, I wanted to maintain that sense of fulfillment. On a friend’s suggestion, I went to work in moving claims. Observing first-hand the bumps and bruises a family’s belongings sustain during relocation, I recognized an enormous need in the furniture repair industry. When I met a representative of Furniture Medic® at a moving claims conference, I saw a way to pair this demand with my lifelong hobby of building furniture and help people find new life in objects they value and cherish. My business is in Wichita Falls, Texas, which is home to Sheppard Air Force Base and just across the state line from Fort Sill in Oklahoma. I’m humbled every day to be able to interact with many Army and Air Force personnel. Giving back to folks in the military is a really rewarding part of my work. It’s also a great example of the freedom and flexibility that the Furniture Medic business model allows franchisees, like me, to give back to their community. Whether it’s serving commercial or residential accounts, disaster restoration or moving claims, the resources I have at my disposal allow me to help people in my community and my trade area. Some of my most rewarding work is with a retirement village close to home, where I refinished 175 of their dining room chairs. The residents loved their “like-new” chairs, and I loved the satisfaction of using my problem-solving and free-thinking skills to help my elderly neighbors. It was a challenging job with a quick turn-around time but the joy on their faces was matched by mine. I’ve also benefitted in both business and fellowship through my church relationships, including finding a trusted technician to join my team. You may be thinking that owning a furniture repair and restoration business sounds like the antithesis of my military experience, but it really had everything to do with analyzing the way my brain and heart are wired. I approached business ownership as I would any other major life decision: weighing the pros and cons, devising a realistic ground plan and designing a workable business plan. Part of that realistic plan is anticipating the job market that awaits you and the marketable skills that you bring to the table. 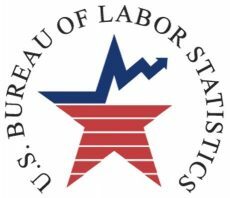 Most employers desire education and skills directly related to their field. In other words, if you don’t have experience for a job in which you are applying, chances are you’ll be passed over or expected to start at an entry-level. 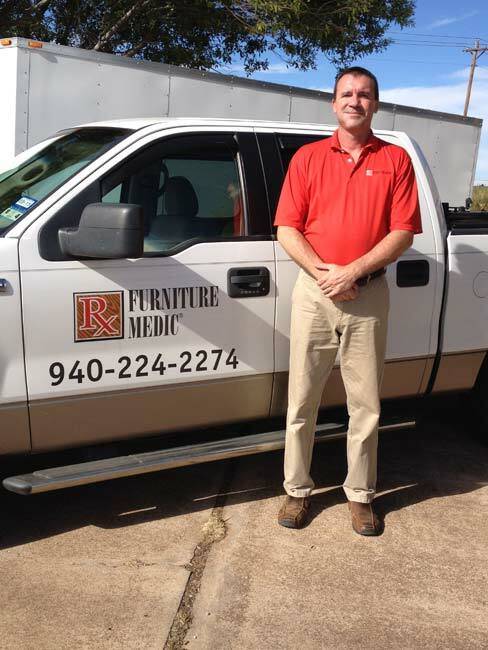 But Furniture Medic, like all the franchises in the ServiceMaster family of brands, offers such thorough training, you don’t necessarily have to have a background in woodworking or repair to be successful as a Furniture Medic owner. It’s on-the-job training at its best. It is important, however, to evaluate your own limitations, likes and dislikes, and reflect on what truly makes you happy. Self-evaluation is the most important element to a successful transition. Be honest with yourself. Reflect on your past successes and failures to find broad criteria to use in determining your next move. I skipped that step when I initially retired from the Air Force. The civilian positions for which I applied were based on my education and managerial achievements and not necessarily my natural ambitions. Once I took some time for self-reflection, I realized that I wouldn’t have found happiness working in any of the jobs for which I had applied. I measure success not by the dollar amount, but my attitude at the end of the day. I love the diversity each individual job and customer offers now. The constantly changing environment keeps me fresh and on my toes. Running your own business, whether independently or as part of an established franchise system, can bring with it a sense of accomplishment you can’t find anywhere else. Being fully responsible and accountable for my success is the best reward. There are many business and franchise options out there to consider, so make sure you do your due diligence. The best franchisors will offer multiple market opportunities, a respected reputation and the experience that you may lack when you are first getting started. The support and knowledge base, as well as an established system, is invaluable. Joining an established network means you benefit instantly from a reputation and brand name recognition that can take decades to build. A franchise opportunity like Furniture Medic can offer many unique benefits, with a key one being assistance with the initial investment. In addition to offering in-house financing options, the company is a proud supporter of the Veterans Transition Franchise Initiative (VetFran) giving U.S. military veterans a 15 percent discount off the initial franchise fee. The extensive training, educational offerings and the opportunity to network and learn from colleagues worldwide are what I found the most valuable. To find an ownership opportunity in a vocation I am passionate about and provides the tools, resources and access to a worldwide brain trust of information and experience I need to succeed, proves I am in business for myself but not by myself. Business ownership, especially in a franchise, takes a broad set of skills and knowledge. Strive to become the absolute best in your field, in both skills and customer satisfaction. Become intimate with the financials, as this is the gauge for company health. Finally, adapt to changing markets and the economy. It goes back to “thinking on your feet.” You know the drill.